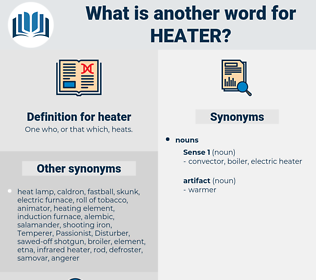 What is another word for heater? 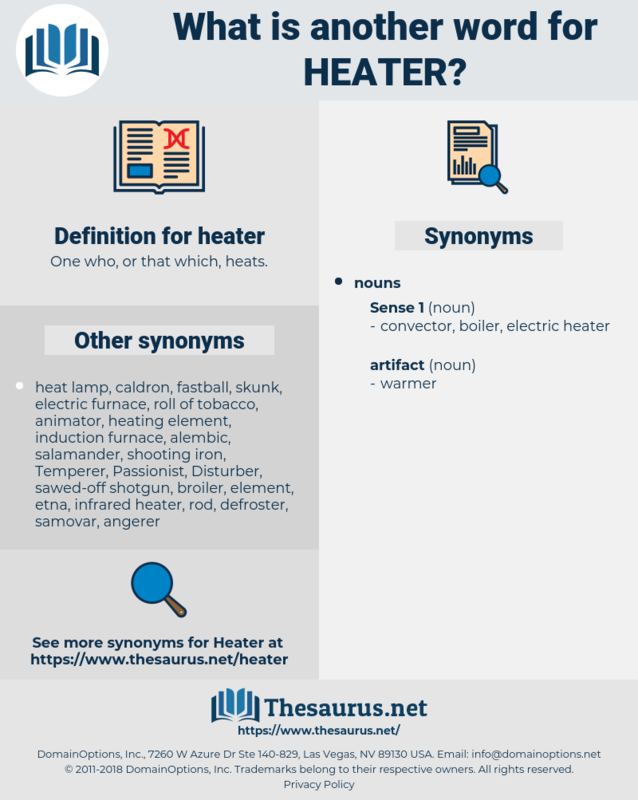 One who, or that which, heats. boiler, warmer, reactor, oven, warming, thermostat. Kerosine Heater, oil heater, deicer, hot-water tank, radiator, demister, defroster, brazier, solar heater, hot pad, gas heater, stove, heating pad, water heater, space heater, kerosene heater, convector, brasier, oilstove, hot-water heater.